Alps Maps and Dolomites Maps from Omnimap, a leading international map store with over 275,000 map titles. Rando Taride 1:50,000 Hiking/topo maps for the Alps. Alps Regional Road Maps. Includes maps by France IGN, Michelin, Freytag & Berndt. Alps Hiking Atlases. Hiking atlases by Kompass. Link to our France 1:25,000 & 1:100,000 topographic maps section. Link to our Switzerland 1:25,000 & 1:50,000 topographic maps section. Alps Hiking Guides. Includes several detailed hiking guides for the Alps and listings of maps for many of the guidebooks. Dolomites 1:25,000 Hiking/topo maps by Tabacco. Dolomites Hiking Guides. Includes several detailed hiking guides for the Dolomites and listings of maps for many of the guidebooks. Index map for the series. $18.99 64-5662-A1 A1 - Pays du Mont Blanc. With Aravis, Chamonix, Courmayeur. The map is centered on St. Gervais le Bains and covers an area of about 60 x 45 km. The GR routes are highlighted, including the entire Tour du Mont-Blanc route and the Tour du Pays du Mont-Blanc. $18.99 64-5662-A2 A2 - Beaufortain. With Albertvielle, Bourg-Saint-Maurice. This map is centred on Bourg Saint Maurice and extends to Courmayeur in the north east (just across the Italian border), to Albertville in the west and to Bozel in the South. GR routes are highlighted. $18.99 64-5662-A3 A3 - Vanois. This map is centred on the Glaciers de la Vanoise and extends to La Grand Cimarella in the east (just across the Italian border), to Valloire in the south west and to Mont Pourri in the north. GR routes are highlighted. $18.99 64-5662-A4 A4 - Massif des Bauges. This map covers from Annecy in the north, to Albertville in the east, to Chambéry in the southwest; includes Aix-les-Bains. $18.99 64-5662-A5 A5 - Belledonna. The map covers from Pontcharra in the north to Lac du Chambon in the south and from Grenoble in the west to Valloire in the east; includes Grenoble, Chartreuse, and Grandes Rousses. $18.99 64-5662-A6 A6 - Ecrins. This map is centred on L'Ailefroide peak and extends to Montgenevre in the east, to Corps in the west, to Le Grand Galibier peak in the north and to Orcieres-Merlette in the south. Most of the PN des Ecrins thus falls on the map. GR routes are highlighted. (France) Rhône-Alpes regional road map. 1:300,000. Michelin. Road classification includes an indication of the number of lanes, and restricted routes, steep gradients, height and load limits, and driving distances are marked. Railways and ferries are included. The maps use hill shading to show the relief, with additional peak heights marked. Administrative boundaries and national/regional parks are indicated. Tourist information includes scenic routes and symbols for viewpoints, sport and recreational facilities, various landmarks, antiquities and sites of interest. Latitude and longitude are shown by a grid in steps of 15'. Map legend includes English. Alps (Alpenlander). 1:500,000. Freytag/Berndt. This excellent road map covers all of the Alps on a single sheet, yet at scale perfect for planning cycling or car trips. The map covers northern Italy, Austria, Switzerland and part of France and Slovenia and includes a few city inset maps. Size is 125 x 95 cm. $14.99 66-2292A 1 sheet, folded. Alps Panorama Maps. Mairs. Attractive artists views as imagined seen from space. In German. The front of the map. $19.95 66-22917 Alps panorama, summer view, rolled. Hiking Atlas of the Alps (Grosser Wander-Atlas Alpen). Kompass. This paperback atlas has summaries of 170 hikes through the Alps, including elevation gain, summary map, listing of the detailed maps needed for the hike, and description of the hike. Europe Long-Distance Hiking Routes E1 Atlas. Kompass. Spiral-bound atlas with detailed hiking/topo trail maps and extensive text (in German only). $18.99 66-2273-1057 E1 Hiking Trail hiking atlas/guide. Walking in the Alps. Lonely Planet. Iconic peaks reflected in tranquil mountain lakes, sweeping hillsides blanketed in wild flowers and dramatic, sprawling glaciers characterise the Alps. Discover why this mighty range, the birthplace of modern mountain walking, has enthralled walkers for centuries. Detailed descriptions of 47 walks in the Alps. Featured coverage of multi-country megatreks, Tour du Mont Blanc and Walker's Haute Route. Two-color maps for every walk. Step-by-step introduction to the walk-climb hybrid Via Ferrata. Inside information on walkers' accommodation, transport, gear and safety. Language section for French, German, Italian, and Slovene. Click here for complete listings of the Kompass hiking maps to accompany this guide. Walking in the Alps. Kev Reynolds. Walking is unquestionably the best method of exploring, and it is the mountain walker for whom journeys in the Alps reveal some of the finest views, the greatest contrasts. This book is a definitive guide to the many thousands of possible routes, with a geographical span that ranges from the Maritime Alps of southern France to the Julians of Slovenia, from Italy's Gran Paradiso to the little-known Turnitzer Alps of eastern Austria, and from the ice-bound giants of the Bernese Oberland to the green rolling Kitzbuheler Alps and the bizarre towers of the Dolomites of South Tirol, showing the amazing diversity of this wonderful mountain chain. There are walks to suit every taste: gentle and undemanding, long and tough, and everything in between. A superb guide for helping you choose the hike of your choice and doing the basic planning. One of Cicerone's detailed guides is then recommended for use on the trail. Alpine Pass Route, Switzerland. By Kev Reynolds. The Alpine Pass Route traverses Switzerland from east to west: from the ancient town of Sargans on the borders of Leichtenstein, to Montreux on the shores of Lake Geneva. It covers some 325 kilometres of mountain and valley and crossed 16 passes with an accumulation of almost 18,000 metres of height gain in fifteen stages. Each pass is different: from the remote slender crest of the Richetli to the broad tourist thronged Kleine Scheideggrocky crest of the Bunderchrinde and the grassy saddle of the Blattipass with its incredible views of the Oberland giants. Snow capped peaks accompany the walker - the Todi and the Titlis; the Wetterhorn, Eiger and Jungfrau; the Kandersteg peaks; Wildstrubel, Wildhorn and Diablerets. Accommodation is plentiful. The route can be done as one long hard walk, or split into two easier holidays. There are many options- cable- cars; chair- lifts and funiculars can be used in many places. It is a route to sort all walkers. A long journey across a mountain landscape can be a great source of satisfaction and untold pleasure. And when that journey traverses an Alpine country as lovely as Switzerland, and when that country consists of mountains as full of charisma and grace as are the Wetterhorn, Eiger, Monch, Jungfrau, Gspaltenhorn, Blumlisalp and Les Diablerets, then the journey may be seen as one of magnetic appeal and with magnificent rewards for those who complete it. Such a journey is that travelled by walkers along the Alpine Pass Route. The author recommends several 1:50,000 hiking maps to accompany the guide, these maps are listed below. $29.99 65-39530-262T Rochers de Naye. $34.99 65-3952-5004 Berner Oberland. Sheet 5004. $34.99 65-3952-5009 Gstaad - Adelboden. Sheet 5009. Walking In The Bernese Alps, Switzerland. By Kev Reynolds. Over 100 routes in the Bernese Alps are described in this third edition of Kev Reynolds' popular guide. 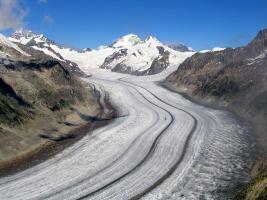 It is an indispensable companion to a region that boasts famous peaks such as the Eiger, Monch and Jungfrau. But there are lesser-known mountains too that are just as scenically dramatic, and in their shadow peaceful villages and seemingly forgotten hamlets are lodged in spectacular locations. Add to that the romantic valleys, lakes, flower-filled meadows and a network of mountain huts and rustic inns for those who want to experience the Alps of the Victorian pioneers, and you'll understand why the Bernese Alps seduce the connoisseur back year after year. All this, and more, is available to the mountain walker, and this indispensable guide will enable you to explore the very best of the Bernese mountain wonderland. Chamonix to Zermatt: 'The Walkers Haute Route'. By Kev Reynolds. Chamonix to Zermatt, Mont Blanc to the Matterhorn- in two weeks of mountain travel you will see the greatest collection of 4000 metre peaks in the Alps and visit some of the most spectacular valleys. You will discover delightful villages and remote hamlets, wander flower meadows and forests, skirt exquisite tarns that turn mountains on their heads, and clamber beside glaciers. The way intrudes on lonely stone-filled corries, with marmots along the boulders and ibex on the heights, and provides a surprise around every corner. The route is more than 180 kilometres long. It crosses 11 passes, gains more than 12,000 metres in height and is a strong contender for the title of Most Beautiful Walk in Europe. This new edition includes the exciting two-day Europaweg - a true high-level path that carries the Haute Route way above the Mattertal and into Zermatt - a worthy conclusion to a great trek. 188 pages, laminated cover. Five maps are recommended to accompany this guide, these are listed below. The Écrins National Park guide. Kev Reynolds. The Écrins National Park contains some of the most spectacular mountain scenery in the whole Alpine range. Easily accessible by public transport or car, and with several charming valleys in which to make a base (including the Romanche, Guisane, Vallouise, Valgaudemar and Vénéon valleys), this largest national park in France offers an unrivalled selection of walks - each one revealing awesome views. Kev Reynolds has picked 70 of the best routes from some of the finest valleys, enough to keep any active walker content for several holidays. Located southeast of Grenoble and unequally split between the départements of Isère and Hautes-Alpes, the Parc National des Ecrins is the largest in France, covering an area of 92,000 hectares (227,332 acres), with a peripheral zone nearly twice that size. This is mountain country par excellence, with the highest peaks forming a block at the very heart of the range, and a diverse assortment of valleys surrounding or spreading from it. $18.99 64-5662-A6 A6 - Écrins 1:50,000 topographic map - le Bourg d'Oisans, Briançon, Parc National des Écrins. With Aravis, Chamonix, Courmayeur. Rando Taride. The map is centered on St. Gervais le Bains and covers an area of about 60 x 45 km. The GR routes are highlighted, including the entire Tour du Mont-Blanc route and the Tour du Pays du Mont-Blanc. Walks in the Engadine, Switzerland. By Kev Reynolds. Tucked away in the south-east corner of Switzerland, the Engadine is a region of lakes and mountains, home of the country's only national park, guardian of the Romansch language and location for some of the most sublime villages in all the Alps. In this long-awaited second of edition of his guide Walks in the Engadine, Kev Reynolds has selected more than 100 of his favourite routes that not only reveal breathtaking views, but take the walker into secretive inner glens and onto remote alp pastures bypassed by the 21st century. Graceful Piz Bernina, glacier-hung Piz Pal, the bold granite form of Piz Badile - these form part of the backdrop. But there are other peaks too that the modest walker can climb, and snow-free passes that link one enchanting valley to another. $19.99 65-3952-269 Berninapass. Sheet 269. $19.99 65-3952-278 Monte Disgrazia. Sheet 278. $24.95 65-3970-815 Oberengadin (Bergell - Bemina - Puschlav - Oberhalbstein). Kümmerly + Frey. Walking the French Alps: GR5. By Martin Collins. The previous edition has been the best-selling and leading guide to the route for many years. Extensively illustrated with maps, and black and white and colour photos. One of the world's leading long-distance trails, through the Alps from Lake Geneva to the Mediterranean - a mere 660km (400miles). The author recommends the Didier & Richard 1:50,000 maps #1,3,6,8,9,10,11), which are out of print and no longer available. He also mentions the 1:50,000 IGN topo maps which are also out of print. The new series by Rando Taride and Libris covers part of the Route and are listed above. For the rest of the Route the French IGN TOP 25 1:25,000 topo series are available. However, many sheets are needed at this scale and the hiker is recommended to look at the index map (e-mail for an index map) and buy only those sheets they need for the portion of the trail they are hiking. Volume 1 covers the area south of Lake Geneva to the Swiss border including pré-Alp areas Saleve, Chablais, the Valle Verte, with Evian and Morzine amongst places to stay. 30 walks including local summits and ridges, but generally straightforward terrain. Volume 2 describes 30 half- to full-day routes in the area between Chamonix and Annecy. Walks are located near Samoëns, Sixt, La Clusaz, Thônes, la Roche-sur-Foron and Lake Annecy. Includes Chaîne des Aravis, Plateau de la Borne and Haut Giffre. Through the Italian Alps: The GTA Grande Traversata delle Alpi. Gillian Price. This immensely rewarding 46-day long-distance route across the western Italian Alps is an exciting proposition, taking in a remarkable kaleidoscope of traditional cultures combined with breathtaking landscapes punctuated by the landmark stone giants such as the Argentera, Monviso and Gran Paradiso. Starting a mere stones throw from the Mediterranean, the GTA (Grande Traversata delle Alpi) curves its way high over the fertile Piedmont plain traversing the Ligurian, Maritime, Cottian, Graian and Pennine Alps, heading northwards to a brilliant conclusion near the base of Monte Rosa and its spilling glaciers. A network of hospitable high altitude refuges alternated with village-based hostels and comfortable inns guarantee walkers memorable meals and a good night's rest. The sole requisites for potential trekkers are a taste for adventure and average fitness; no special mountaineering expertise is necessary. Excellent public transport links make multiple shorter chunks feasible to fit in with individual holiday requirements. This unforgettable alpine experience is finally available to English-speaking walkers! Tour of Mont Blanc. Kev Reynolds. The Tour of Mont Blanc is one of the best - if not the best - of the world's classic walks. It circumnavigates the Mont Blanc massif in about eleven days. The walk has all the excitement of the high mountains yet none of the worry of altitude sickness. It crosses numerous cols with stunning views of spectacular snow and rock peaks. Accommodation along the route is plentiful. The 'official' Tour du Mont Blanc follows an established route around the main block of mountains containing not only Mont Blanc but its principal allied summits such as Verte, Chardonnet, Gouter, Géant, Jorasses, d'Argentière, Dolent and numerous others. The author describes the tour both in the traditional 'anti-clockwise' direction and the 'clockwise' direction.. There are several alternative routes that subsequently link and these are also described. The routes, along with suggestions for alternative exploration, have been created on what the author thinks gives the very best perspective and appreciation of the whole region and provides the best balance of visual return for the physical effort required. At every opportunity recommendations are made that will bring the walker into closer contact with the area and enhance memories of the visit. This guide is in full colour, and has a good section on points of interest, accommodation details and natural history of the region. $18.99 64-5662-A1 Mont Blanc 1:50,000 topo. (Rando Taride). $19.99 64-5648-3531ET Massif du Mont Blanc 1:25,000 topo map. France IGN. $19.99 64-5648-3630OT Chamonix 1:25,000 topo map. Farnce IGN. Mont Blanc Walks. Hilary Sharp. Full colour guide to the very best walking around Chamonix and Mont Blanc, the world capital of mountaineering written by guide, expert and photographer Hilary Sharp, who lives in the valley. With 50 outstanding walks and 4 multi-day treks, this covers both the French side around Chamonix and Italian around Courmayeur. Totally new guide to this most popular destination for alpine walkers and mountain-lovers. Introduction to the best walking in the most popular alpine region, Chamonix, the capital of mountaineering. 50 outstanding walking routes in France and Italy, plus 4 multi-day treks. Illustrated with outstanding photographs and maps. The Grand Tour of Mont Rosa. This guide provides eight stages of route description and comprehensive planning and background details to the Tour of Monte Rosa, a challenging and very varied adventure that takes a high route around the massif, in a circuit that begins and ends in Zermatt, southern Switzerland. $29.99 65-39530-273T Swiss 1:50,000 hiking/topo #273T - Montana. $29.99 65-39530-274T Swiss 1:50,000 hiking/topo #274T - Visp. $29.99 65-39530-282T Swiss 1:50,000 hiking/topo #282T - Martigny. $29.99 65-39530-283T Swiss 1:50,000 hiking/topo #283T - Arolla. $29.99 65-39530-284T Swiss 1:50,000 hiking/topo #284T - Mischabel. $19.99 65-3952-293 Valpelline. Sheet 293. $19.99 65-3952-294 Gressoney. Sheet 294. $34.99 65-3952-5006 Matterhorn-Mischabel. Sheet 5006. $16.99 64-82741-05 Cervino - Matterhorn e Monte Rosa. Ayas, Aosta, Vreuil Cervinia, Brussion, Challand, Champoluc, Chatillon, Gressoney, Valpelline, Valtournenche, Zermatt. $13.99 66-2273-XX87 Breuil/Cervinia - Zermatt. 1:50,000. $13.99 66-2273-XX88 Monte Rosa. 1:50,000. Tour of the Oisans: GR54. By Andrew Harper. The Tour de l'Oisans is the name given to one of the most strenuous alpine walks: the 'GR54'. It is circuitous, traditionally beginning and ending at the alpine resort of Bourg d'Oisans 40km (25miles) to the east of Grenoble. The massif it encircles is that of the Ecrins, the bulk of which is a National Park. The landscape is stupendous. There are wondrous views and nowhere along the whole route lacks interest. The valleys are rich in individuality, the hamlets varied in style and facility. Forest, meadows, bare mountainside, scree, scant tracks, stones, bushes, rocks, streams, pools, rivers, lakes, glaciers are the ingredients and very little roadwork is encountered. GR54 should not be attempted by anyone who has not had a thorough 'primer' of approaching difficulty elsewhere in the Alps. The Mont Blanc Tour is similar in scale: of distance and total ascended altitude, taking about the same time in which it can be accomplished. GR54 is arguably more difficult, being severe and exposed in places with attendant increase in danger and risk. Nevertheless, thousands flock to the area annually. The French quite rightly recognise its grand potential and there is a constant passage of people progressing their way around the paths. The Tour of the Queyras. By Alan Castle. The Queyras is an isolated, unspoilt region of the French Alps between the Durance Valley and the Italian border. Sheltered to the west by the big peaks of the Ecrins, it is one of the sunniest areas of the Alps, a mass of flowers early in the season. The absence of glaciers make it ideal hillwalking country, with several mountain summits accessible to the ordinary walker. This book describes a 13-day circuit along the GR58 and GR541, with accommodation in gites and refuges. Ideal for a first alpine visit or for those tired of more crowded areas, or for those seeking to escape the unsettled weather of massifs furthers north. There is plenty of variety from woodland glades to rocky high-level cols, from Alpine pasture to airy summit. The Tour includes two excursions into the Italian Alps and there is plenty of opportunity to shorten or lengthen the route as time and conditions dictate. The walk is ideal for those new to Alpine walking, whilst providing optional challenges for the more experienced. Most of the Day stages are not over long, allowing plenty of time for admiring the magnificent scenery or attempting an additional summit or footpath. Time is available at the end of a two week holiday to visit Guillestre and nearby Briançon. Walking in the Tarentaise & Beaufort Alps. By J.W. Akitt. This is the delectable mountain area south of Mont Blanc - includes the Vanoise National Park. The guide describes 53 day walks, 5 tours between 2 and 8 days duration, plus 40 short outings. The author recommends several maps, listed below, to accompany the guidebook. $19.99 64-5648-3432ET France 1:25,000 topo #3432ET Albertville. $19.99 64-5648-3433ET France 1:25,000 topo #3433ET St-Jean-de-Maurienne - St-François-Longchamp - Valmorel. $19.99 64-5648-3531OT France 1:25,000 topo #3531OT Mégève - Col des Aravis. $19.99 64-5648-3531ET France 1:25,000 topo #3531ET St-Gervais - Massif du Mont Blanc. $19.99 64-5648-3532OT France 1:25,000 topo #3532OT Massif du Beaufortin. $19.99 64-5648-3532ET France 1:25,000 topo #3532ET Les Arcs - La Plagne. $19.99 64-5648-3534OT France 1:25,000 topo #3534OT Les Trois Vallées - Modane. $19.99 64-5648-3633ET France 1:25,000 topo #3633ET Tignes - Val d'Isère - Haute Maurienne. $15.99 64-8274-102 Val Savarenche, Val di Rhômes, Valgrisenche. Sheet 102. The Valais, Switzerland - A Walking Guide. By Kev Reynolds. 120 routes throughout the Swiss Valais, one of Switzerland's finest mountain regions. Detailed coverage of Bettmeralp, Ltschental, Saastal, Mattertal, Turtmanntal, Val d'Annivers, Val d'Herens, Val de Nendaz, Val de Bagnes, Val d'Entremont, Val Ferret, Vallee de Trient. With full colour maps and 100 high quality photographs to illustrate the book. The Matterhorn, Monte Rosa, Zinarothorn, Ober Gabelhorn, Dent Blanche, Weisshorn, Bietschhorn, Grand Combin: these are some of the most dramatic mountains in Europe. Here they form a backdrop to a series of routes that should answer the dreams of any keen mountain walker. Best-known, perhaps, for the resorts of Zermatt and Saas Fee, the Valais district of Switzerland is also the location of the Litschental and Turtmanntal, the Vals' d'Anniviers, Hèrens, Bagnes and Ferret valleys and valleys in which there are numerous alp hamlets nestling among the pastures. There are also dozens of small lakes, the longest glacier in the Alps, pristine snowfields, meadows full of flowers, marmots that will eat out of your hand, and no shortage of accommodation, ranging from low-cost dormitories and campsites to the grandest of hotels. In this, the third edition of his popular guide, Kev Reynolds has selected and described 120 routes that represent the very best of this magical region. Rewritten and with a new design, fresh maps and colour photos throughout, Walking in the Valais is your passport to some memorable walking holidays in this Alpine wonderland. $34.99 65-3952-5003 Mt. Blanc - Grand Combin. Sheet 5003. Tour of the Vanois. By Kev Reynolds. This book is a guide to a 10-12 day circuit of one of the finest of all mountain areas in France - the Vanoise Alps. Easily accessible by train or bus from Chambéry and Grenoble, the Vanoise National Park neighbours that of the Gran Paradiso National Park in Italy, with Mont Blanc to the north and the Ecrins to the south. The Tour of the Vanoise explores the very best of this scenically spectacular region of 3000m peaks, glaciers, lakes, waterfalls and flowering meadows, and provides plenty of opportunities to study marmots, chamois and ibex along the way. With numerous manned huts strategically placed throughout the National Park, lightly-laden trekkers can stay in simple comfort each night without having to resort to carrying tents, food or cooking equipment. Covering a distance of more than 154km (95miles) it encounters some dramatically wild landscapes, is demanding in places and, with several passes to tackle in excess of 2500 metres (8200ft), ensures there's plenty of height gain and loss; the total amount of ascent being some 7031metres (23,068ft). Kev Reynolds describes the route, its alternatives and variations, gives details of the huts and other accommodation, and points out items of interest along the way. This circuit should appeal to all who love wild places, and for whom the Alps provide an antidote to everyday life at low level. The map recommended by the author is out of print and no longer available and has been replaced by the excellent Rando Taride map listed below. Dolomites UNESCO Tourist Map. 1:150,000. Tabacco, 2016. Sample detail from the france Greenways and cycle routes map. $15.99 64-8274-DO 1 sheet, folded. Trekking in the Dolomites - Alta Via 1 and 2. Cicerone Press. Situated towards the eastern end of the Alps' great curve from the Mediterranean coast through central Europe to the Balkans, the Dolomites region occupies an area of northern Italy as large as Wales. Although the Dolomites' reputation as a playground for 'hard men' is fully justified, these mountains are by no means the domain of the rock climber alone. A dense network of footpaths offers endless scope for exhilarating high-level walks; the renowned 'vie ferrate' (rock routes aided by fixed metal ladders and cables) lead up into many sensational situations, while in winter the region becomes a premier skiing destination for thousands of Europeans. The authors hope that these treks through the Dolomites will yield rewarding experiences and enduring memories for readers able to visit this most extraordinary region. The maps recommended by the authors are listed below. $14.99 64-8275-03 Cortina d'Ampezzo e Dolomiti Ampezzane 1:25,000 hiking map #3. Tabacco. $14.99 64-8275-24 Prealpi e Dolomiti Bellunesi 1:25,000 hiking map #24. Tabacco. $14.99 64-8275-25 Dolomiti di Zoldo Cadorine e Agordine - S. Vito di Cad. 1:25,000 hiking map #25. Tabacco. $14.99 64-8275-31 Dolomiti di Braies - Marebbe/Pragser Dolomiten - Enneberg 1:25,000 hiking map #31. Tabacco. $14.99 64-8275-05 Val Gardena - Alpe di Siusi/Gröden - Seiseralm 1:25,000 hiking map #5. Tabacco. $14.99 64-8275-22 Pale di San Martino 1:25,000 hiking map #22. Tabacco. $14.99 64-8275-23 Alpi Feltrine - Cimònega - Lè Vette 1:25,000 hiking map #23. Tabacco. $14.99 64-8275-30 Bressanone/Brixen - Val di Funes/Villnösstal 1:25,000 hiking map #30. Tabacco. Walking in the Dolomites. Cicerone Press. This guide leads you through breathtaking alpine scenery flanked by well-graded paths and excellent mountain refuges that verge on hotels, which are easily accessible with the excellent network of public transport from major towns and travel hubs, such as Venice, Verona, Munich and Innsbruck. Any one of these fabulous multi-day walks make for a memorable holiday in Italy's breathtaking Dolomite mountains. The author weaves the best of her 20-year experience and knowledge of this spectacular region into an original selection of itineraries on foot across each Dolomite group. Many walks follow mule-tracks constructed by troops during the First World War, when Italy fought Austria for possession of crazy summits and tunnels were hewn through impossible mountain-sides. The highlights are emphasised and the routes are furnished with fascinating explanations of wildlife and flowers. Everything, from a stroll through woods and meadows to family routes, steep rocky zigzag passages and hands-on clambers, is covered. The author recommends two sets of maps by Tabacco; either 1:25,000 topos or 1:50,000 topos. Via Ferratas of the Italian Dolomites - two volumes. John Smith & Graham Fletcher. Cicerone Press. Book two documents southern Dolomites Via Ferrata routes in the major mountain ranges of Civetta, Schiara and Pala as well as those to the west in the Brenta. A significant addition (and, as far as we are aware, not previously published in any English language guidebook) is the inclusion of routes around the northern end of Lake Garda and the Piccole Dolomites north of Vicenza. Here the mountains are generally lower and you can enjoy ferrata climbing over a much extended season, with some routes accessible for most of the year. While Volume One covered the eastern, northern and central areas of the Dolomites, book Two completes the picture, focusing on the southern, Brenta and Lake Garda areas. $14.99 64-8275-01 Sappada - S. Stefano - Forni Avoltri - Val Visdende. 1:50,000. Tabacco. $14.99 64-8275-02 Forni di Sopra - Ampezzo - Sauris - Alta Val Tagliamento. 1:50,000. Tabacco. $14.99 64-8275-04 Val Senales - Altissima/Schnalstal - Hohe Wilde. 1:50,000. Tabacco. $14.99 66-2273-XX55 Cortina d'Ampezzo. 1:50,000. Kompass. $14.99 66-2273-XX73 Gruppo di Brenta. 1:50,000. Kompass. $14.99 66-2273-X073 Dolomiti di Brenta. 1:30,000. Kompass.